Wayne Sutton is a serial entrepreneur and co-founder of Change Catalyst and its Tech Inclusion programs. Tech Inclusion is dedicated to exploring innovative solutions to diversity and inclusion in tech through the Tech Inclusion Conference, consulting and workshops. Wayne’s experience includes years of establishing partnerships with large brands to early stage startups. As a leading voice in diversity and inclusion in tech, Wayne shares his thoughts on solutions and culture in various media outlets where he has been featured in TechCrunch, USA Today, and The Wall Street Journal. In addition to mentoring and advising early stage startups, Wayne’s life goal is to educate entrepreneurs who are passionate about using technology to change the world. 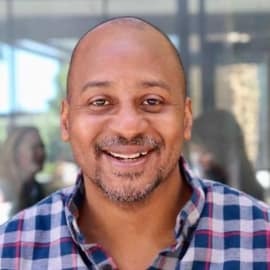 Wayne Sutton writes about entrepreneurship, startups, diversity & inclusion in tech at SocialWayne.com..